The inspiration for this project was the beautiful backyard view of a large pond and conservancy. Even in the winter months, the wildlife and glistening water is a serene picture for any canvas. I felt I needed to bring this view of nature into the interior of the house. 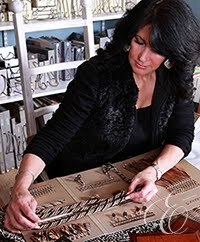 I started this process by selecting a large natural dining table and chairs that looked similar in color to driftwood. I selected a natural tweed fabric on the seats, and a contrast leaf patterned fabric on the backs of the chairs for interest. The moss green and taupe color selection was also intentional, in bringing the nature back into the room. The original design of the room did not have any window treatments, because the client didn't want to obstruct the view of the backyard. But I felt that the room needed softness. So, we added custom stationary drapery panels on the ends of each bank of windows. This not only gives the softness that the room required, but it actually enhances the view by framing out the windows. I had a large upholstered banquette made for one side of the table in lieu of additional dining chairs. This was also a tactic to add softness as well as charm to the room. The accent pillows we had made for the banquette match the backs of the chairs and are a nice custom touch. The final touch to this room was this beautiful loop and sheer tip area rug. 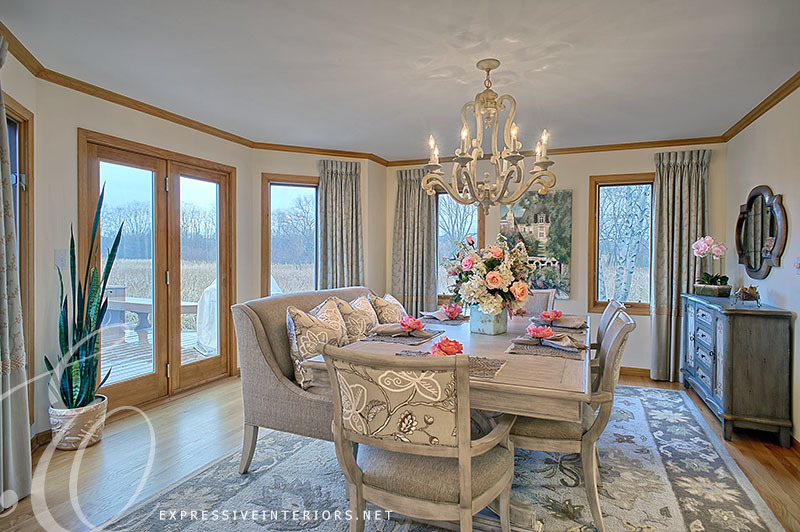 The colors and design work compliment the room perfectly and anchors the dining area. This dining room has been transformed into a beautiful and elegant room that is now a natural extension of the outdoors. The best way to appreciate a beautifully decorated room is to see what it derived from, as well as what the inspiration was. 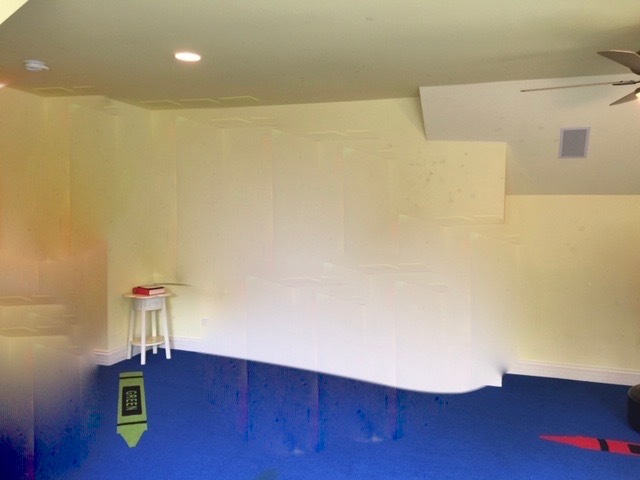 I’ve decided to post “Before & After” photos in the next few blog posts to show the vision I have when I approach a project, and how I make that room come to life! Sometimes it may be whimsical, sometimes it may be romantic, at times it’s funky and at times it’s classic. Whatever the functional objective is for the finished project, the journey to get there is always an exciting path for me, seeing it all pull together. I’d like to take you on that journey in the next few blogs, to see some of my favorite “before and after" photos. As I’m sure you will agree… a photo speaks a thousand words! 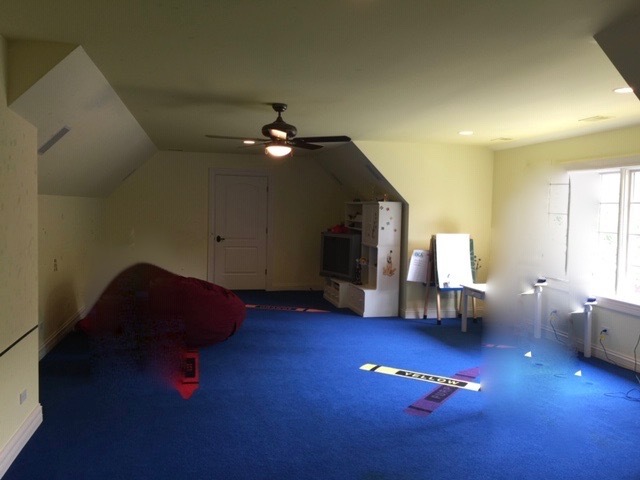 This project below was a very large bonus room that was previously a huge play area. 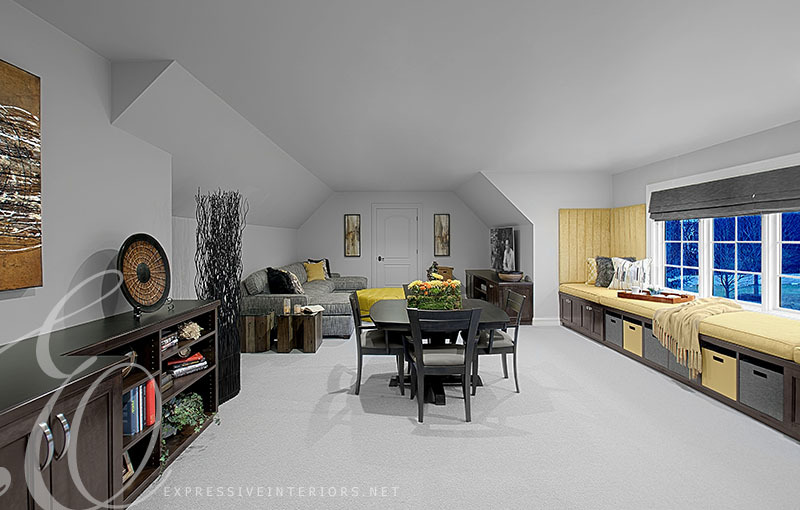 The client wanted to turn it into a multipurpose room for their teenage daughter. 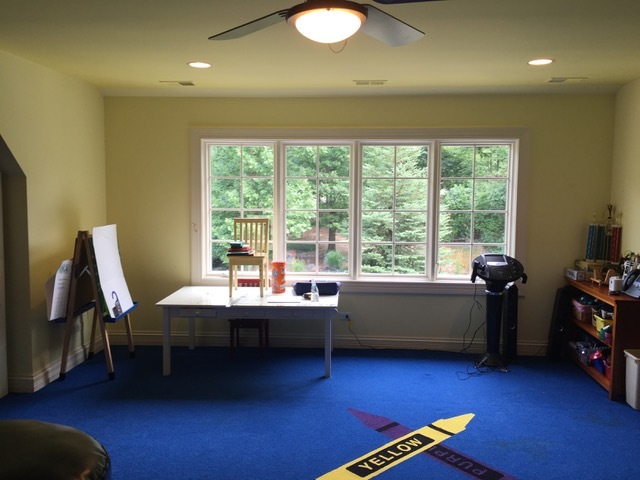 They needed an area for her to do homework; an area to relax and watch TV; and a place to play games. They also requested additional storage space. The first thing that stood out to me, was the large window area that seemed to be “wasted space”. I came up with a design that is not only used for storage, but also a great area to have friends sleep over, or to just relax and read a book. 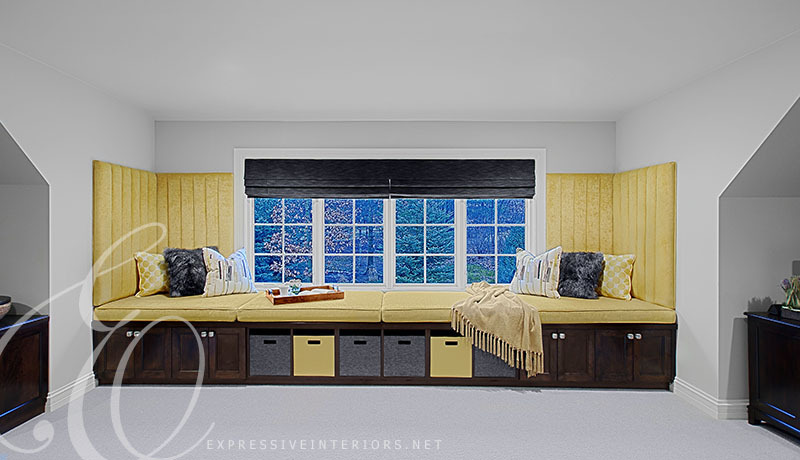 After designing this functional space; I then created the rest of the room around that window banquette. The walls/ceiling towards the back of the room were angled. Which made it a bit tricky to work around. However, I embraced the unusual angles and created a cozy TV entertainment area. We had the TV unit custom made along with the banquette and “breakfast bar”. These three pieces balanced the entire room very nicely. 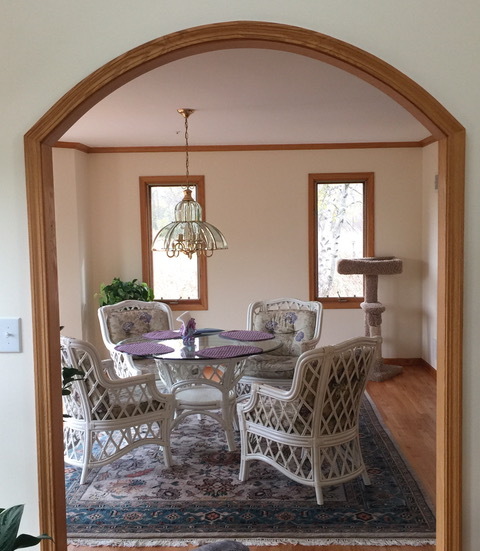 The center of the room was a perfect place to add a small game table and chairs. It not only provided the function they requested, but it also helped to divide the various seating areas of the room. Making each area, all the cozier. The west wall as you enter the room was a great spot to add a “breakfast bar" and bookcase; equipped with a mini refrigerator and cabinet storage for games or treats. The bookcase came in handy for the office work space that was kiddy-corner to the breakfast bar. 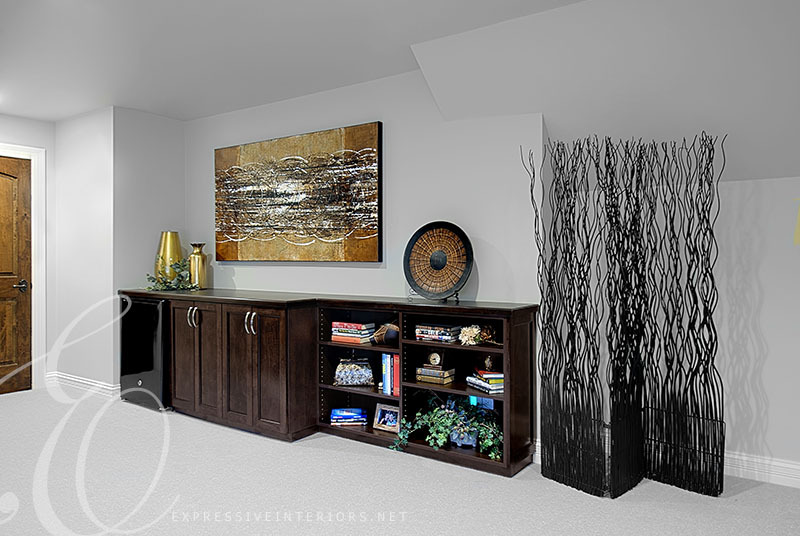 A beautiful mahogany corner desk was purchased to fill that space and make it a quiet work area, away from the entertainment portion of the room. This room turned out to be the perfect entertainment room for both young and old. It came to life with all the beautiful clean contemporary art and accessories. It's a room I’m very proud to have created for my clients.